Unfortunately, that is also now. Since 1998, the State has only built 3 new schools in Paterson-PANTHER Academy, Roberto Clemente and International High School. Finally, they have finished two more schools! Paterson’s Children Need New Schools. Now. Two brand new schools have being built: School 16 on 22nd Avenue and Hazel Marshall School, which has been named Dr. Hani Awadallah School on Marshall Street. Both schools will open on September 6th in the 2016-17 academic year. PEF will continue to keep tabs on these schools and how they will address the district’s problems with overcrowding and antiquated school buildings. 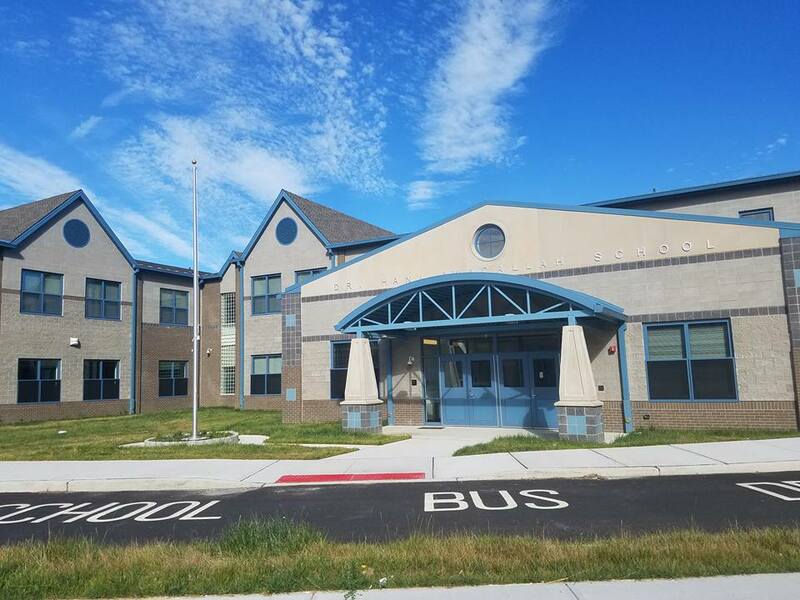 Both schools were granted a temporary certific ate of occupancy. The new School 16 is a 109,500-square-foot, three-story facility designed to educate 700 students in grades pre-kindergarten through eighth, according to the SDA. The school includes 22 general classrooms, three kindergarten classrooms, four pre-kindergarten classrooms, specialized instruction classrooms and labs, a media center, a cafetorium (an auditorium that doubles as a cafeteria), a gymnasium, as well as administrative and support facilities. 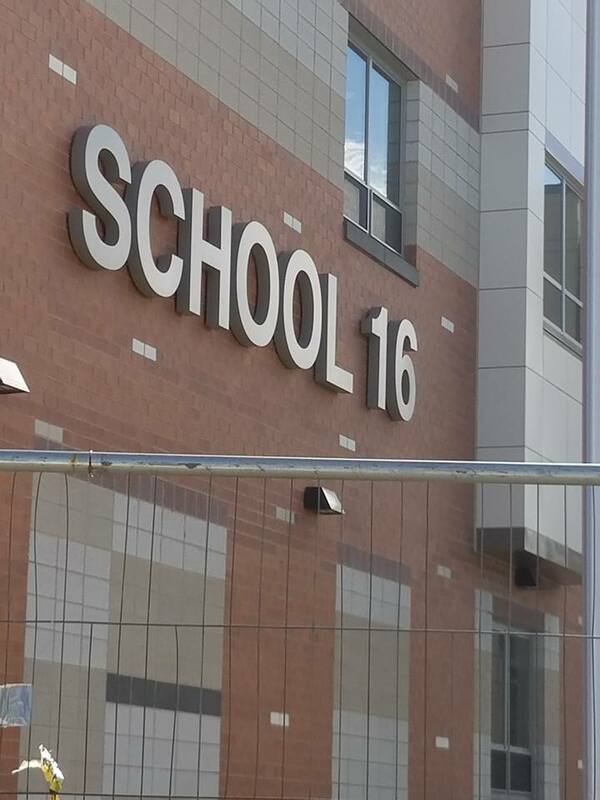 The site sits near Route 80 and includes the area where the original School 16 had been.Paterson Times article on School 16’s time capsule and beam signing! The new Dr. Hani Awadallah School is a 109,000-square-foot building, designed to educate approxima tely 650 students in pre-kindergarten through eighth grade. The facility includes 23 general classrooms, four kindergarten classrooms, specialized instruction classrooms and labs, a media center, a gymnasium, a cafetorium, and a community room. There is a pedestrian bridge over the NJ Transit railroad right of way providing access to areas of the city served by the school. Check out the progress of this school on our “Restart Paterson’s Hazel Marshall School” Facebook Page! For the history of Abbott School construction, go to www.edlawcenter.org.